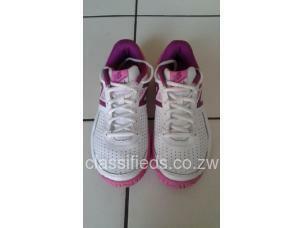 AS NEW - Original Ladies New Balance 696 Leather Tennis Shoes. Selling on behalf of a non member. Worn Once. Wrong Size. Was a Gift. As New - Brass Fuel / Water Meter.